Growing up in Austin (Lake Travis), planting roots in the heart of Texas was always the dream, and after living in Seattle, making weekly visits to a local institution in Pike’s Place Market called Beecher’s, the vision to do so was born. I would take their grilled cheeses home and pair with different sauces I found in the cheese department of my local market. The more I paired sauces, the more I loved the idea of doing a cheese plate dining experience in the form of the grilled cheese sandwich. 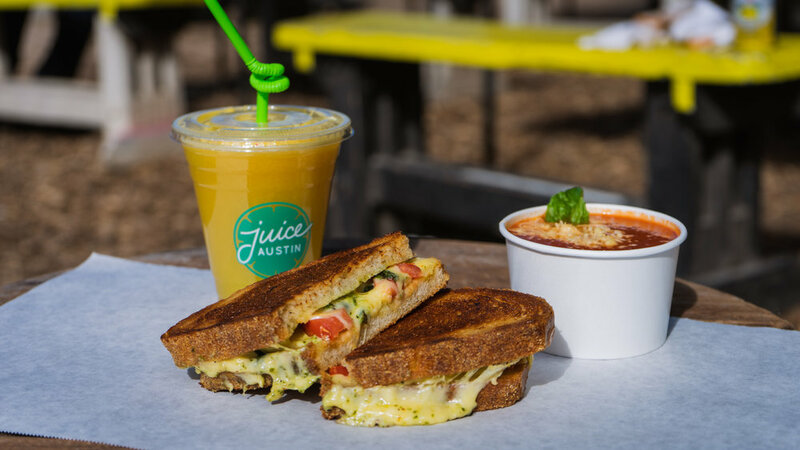 Using high-quality ingredients and creatively combining those ingredients to layer flavors in a way that elevates the simple grilled cheese became the vision. 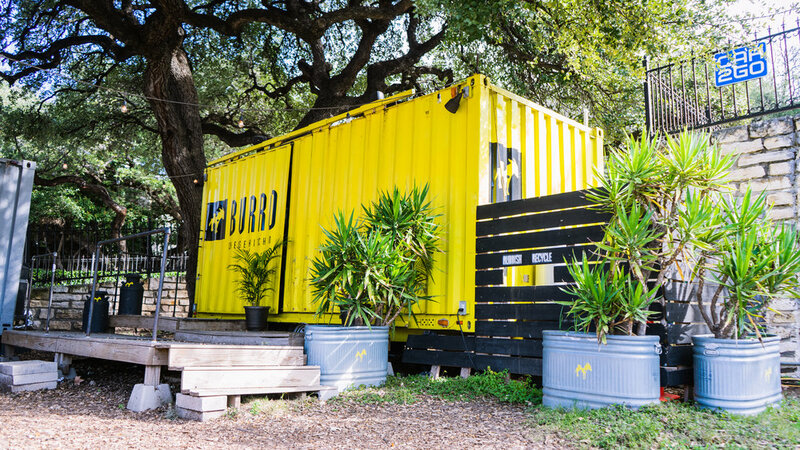 So in December of 2012, five years after our Seattle stint, many hundreds of grilled cheese combinations made and dozens of investment pitches pitched, I had in hand an empty shipping container that was designed to become Burro Grilled Cheese Kitchen. After waiting four weeks for the rolling chassis to be installed, I rolled up my sleeves and went to work. I knew that I wanted to understand every part of this eatery inside and out, and hand building it was the only way for me. With the help of some amazing family and friends, two months of grinding, welding, cutting, torching, glazing, glass-work and everything else under the construction umbrella, I was able to realize the vision finally and transform the container into a minimal clean-lined aesthetic with full glass front serving area. The goal of elevating the trailer experience was finally there. Opened in February 2013 with our ethos: We love good cheese. We love good bread. We love to apply fire to good cheese and good bread. 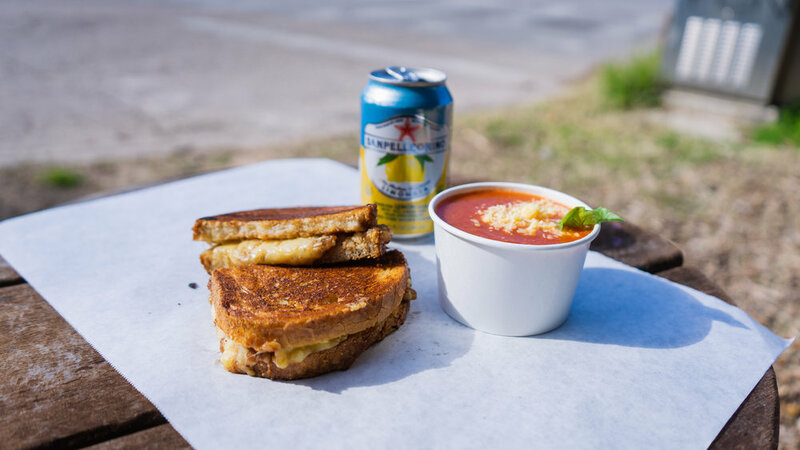 At Burro Grilled Cheese Kitchen, we revel in the glory of artisan grilled cheese sandwiches and are excited to take the concept of amazing grilled cheese sandwiches to the next level. Great bread, great artisan cheeses, and scratch in-house made sauces designed to pair with each particular grilled cheese sandwich combination is what we do daily. At every level, we use the freshest / best quality ingredients we can find anywhere. Where did we find our name? Well, Balkan burro cheese called Pule is the most exquisite cheese produced worldwide and is the most expensive ($750 per pound!! ), so what better name to represent our brand but the best of the best? We are proudly serving the city of Austin with a smile in our three locations, and we offer two mobile food trucks for catering and events.